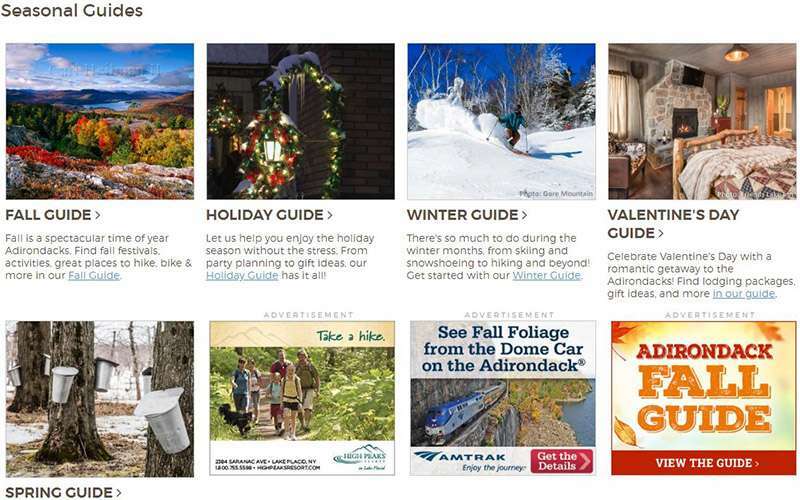 Your online guide for vacationers, residents, and anyone who calls the Adirondacks home! The six-million-acre Adirondack Park is home to the highest mountains in New York State, an endless number of hiking and biking trails, spectacular waterways, and plenty of towns, villages, and hamlets to visit. For people looking to escape from everyday life, this is the ideal destination. 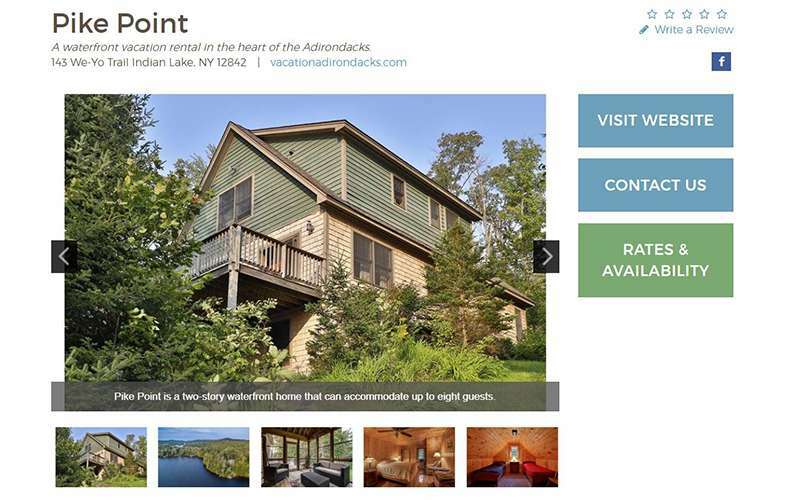 On Adirondack.net, we feature directories of Adirondack lodging (hotels, cabins, vacation rentals, etc. ), restaurants, attractions, local businesses, and much more. 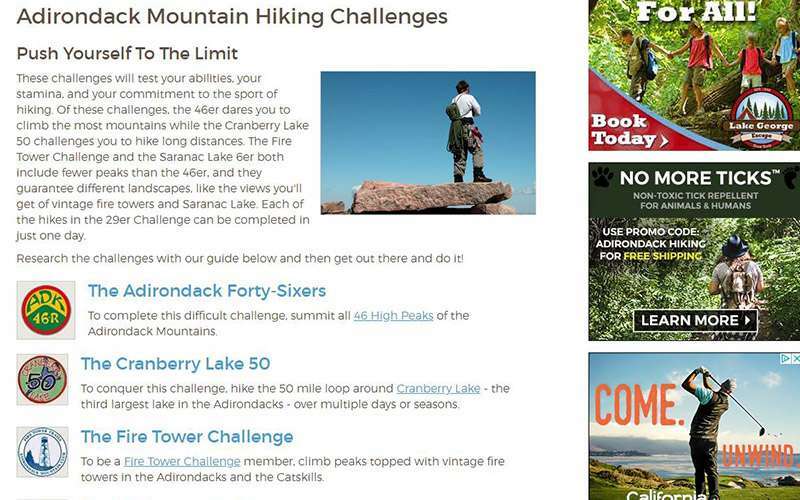 You can also explore our guides to get details about regional hiking trails, biking routes, and even Adirondack wildlife. Are you thinking about a trip to the Adirondack Park? No matter what kind of adventure or getaway you're interested in, we have you covered. From Lake Placid and Saranac Lake to Old Forge and North Creek, the vast Adirondacks await! 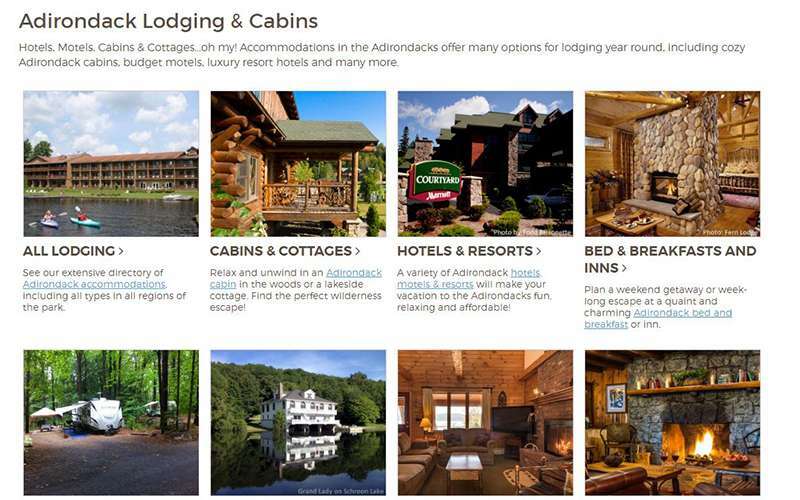 Using our online guide, you can easily find nearby lodging to many popular Adirondack communities and choose from a number of seasonal activities. While some people come for autumn leaf peeping, others can't wait to hit the snow-covered trails in winter. 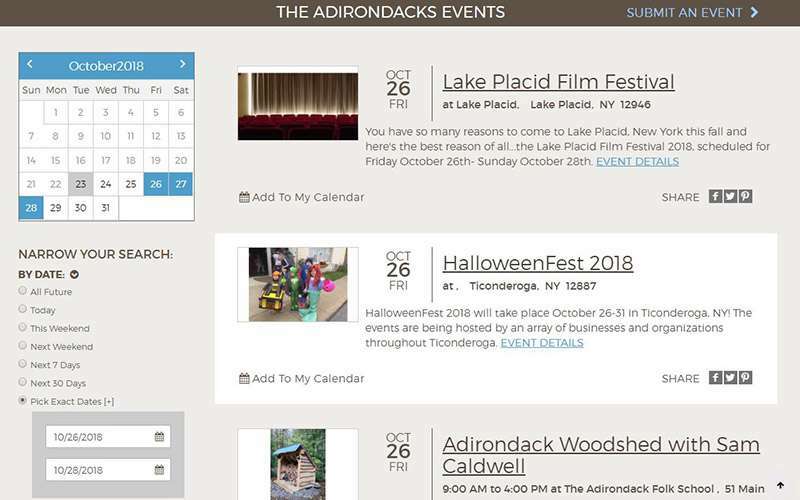 In addition, Adirondack.net offers information about local businesses, shops, and services. Browse home and garden companies to get started on your next project, discover places that sell Adirondack souvenirs, and more. 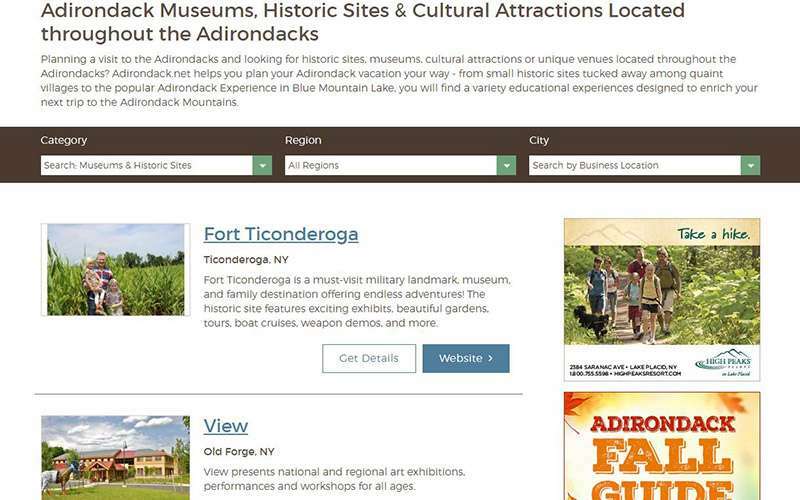 If you'd like to spread the word about your Adirondack business, then consider advertising on Adirondack.net. We offer a variety of advertising packages and can help you reach the right audience online.